Your Brain Is a Time Machine - Description | W. W. Norton & Company Ltd.
A neuroscientist investigates how the architecture of the human brain shapes our understanding of the nature of time. "Time" is the most common noun in the English language yet philosophers and scientists don’t agree about what time actually is or how to define it. Perhaps this is because the brain tells, represents and perceives time in multiple ways. 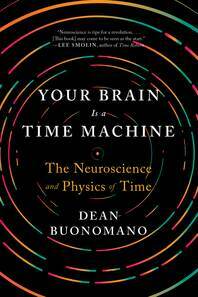 Dean Buonomano investigates the relationship between the brain and time, looking at what time is, why it seems to speed up or slow down and whether our sense that time flows is an illusion. 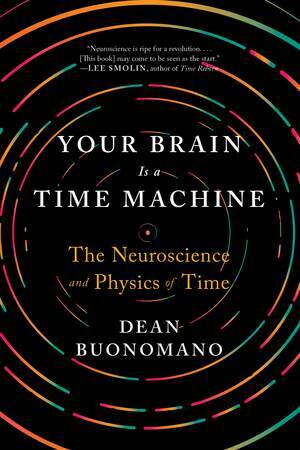 Buonomano presents his theory of how the brain tells time, and illuminates such concepts as free will, consciousness, space-time and relativity from the perspective of a neuroscientist. Drawing on physics, evolutionary biology and philosophy, he reveals that the brain’s ultimate purpose may be to predict the future–and thus that your brain is a time machine.